Experience, skills and talent to help you reach your goals. Individual programs tailored to help each horse and rider excel. We recognize that students are individuals, and so are their horses. There is no ‘one size fits all’ path to success in equestrian competition. At Stonewood Equestrian we believe that riders require both the skills and mindset to be successful in the ring. Each program is carefully constructed to build the fundamental skills required by both horse and rider. Combining flatwork, exercises through poles and grids in addition to schooling over fences we produce horses and riders who are prepared to face their challenges, and learn from each experience. We also do regular “Coach’s Corner” meetings to discuss each riders goals and work together to create a plant to achieve those goals. Congratulations to our 2018 Central East Year End Award Winners! 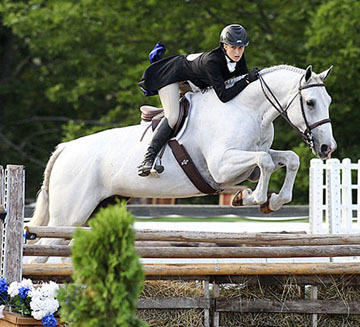 Whether you’re looking to step up to a new division, make the switch from hunters to jumpers, qualify for equitation finals or simply improve your skills and have fun showing your horse in a low-key division, we can help you meet those goals. Contact us for further information .